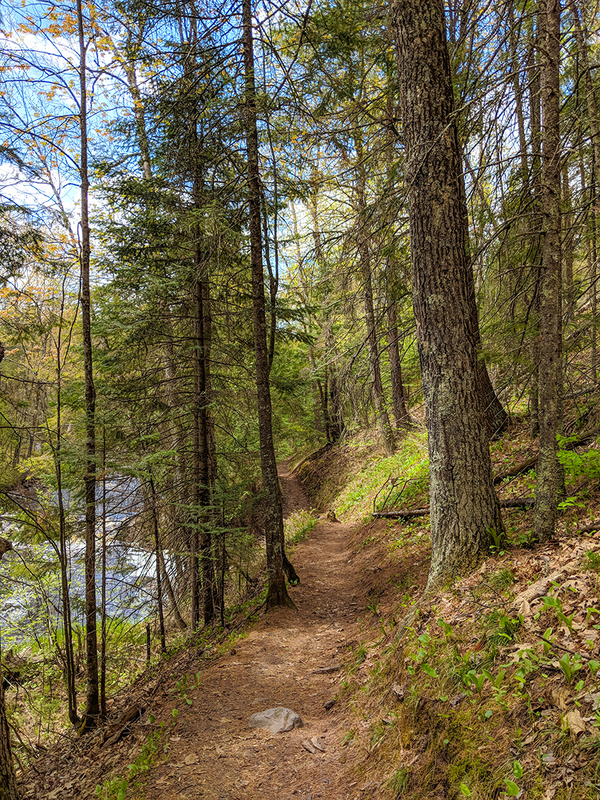 The North Country National Scenic Trail is a 4600-mile route between Vermont and South Dakota. 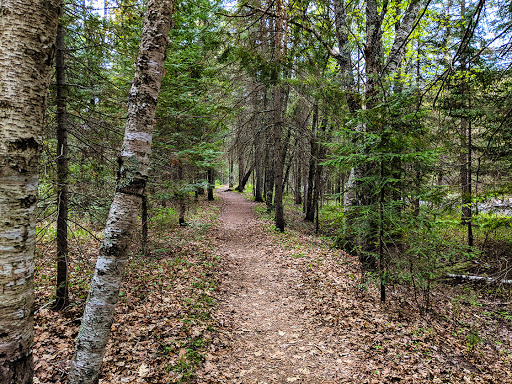 A portion of this trail passes through Wisconsin between Upper Michigan and Duluth MN. 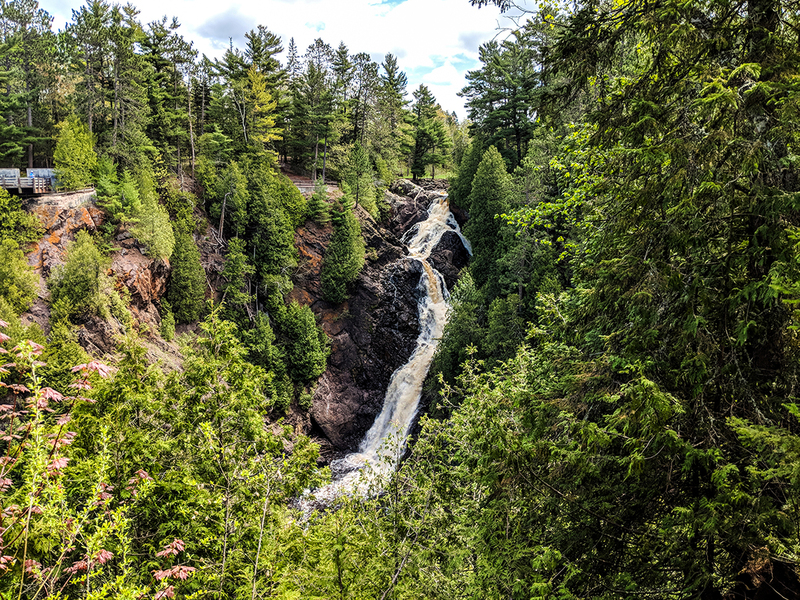 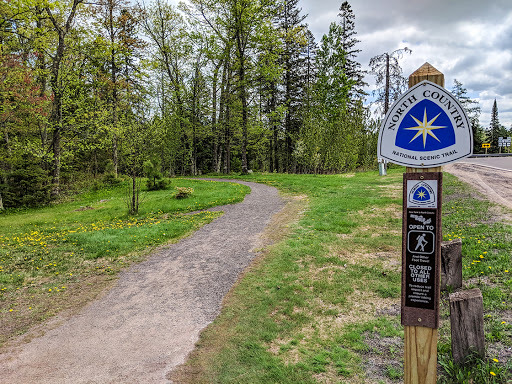 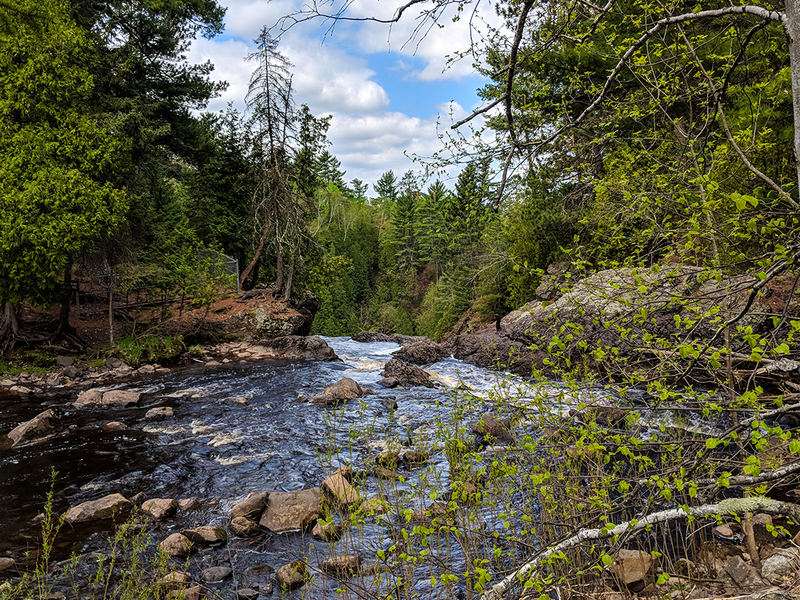 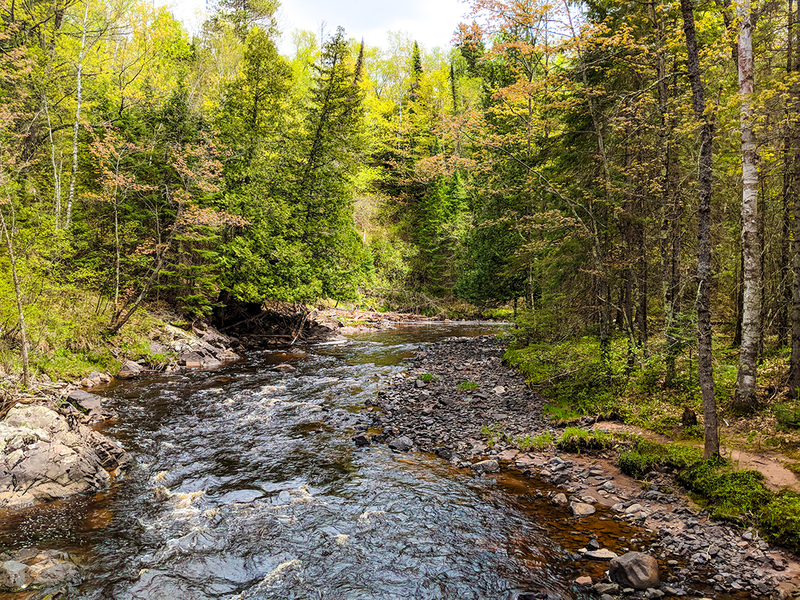 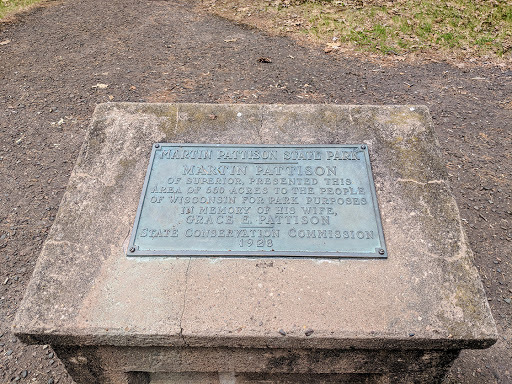 Pattison State Park hosts 2.1 miles of this trail which follows the Black River between Little Manitou Falls and Big Manitou Falls. Big Manitou Falls is Wisconsin's highest waterfall at 165 feet. This trail is an easy hike and can be completed by anyone of almost any level of fitness. It is an ideal nature walk for active families with young children. The route identified in this post is a 3.75-mile lollipop trail if combined with the Beaver Trail and will take approximately 1 1/2 hours to hike. 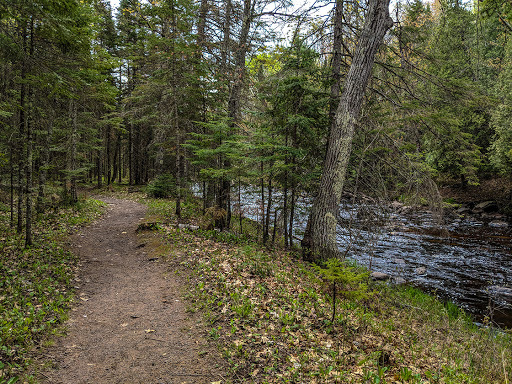 Camping is available at several backpacker campsites, a shelter, and a family campground. 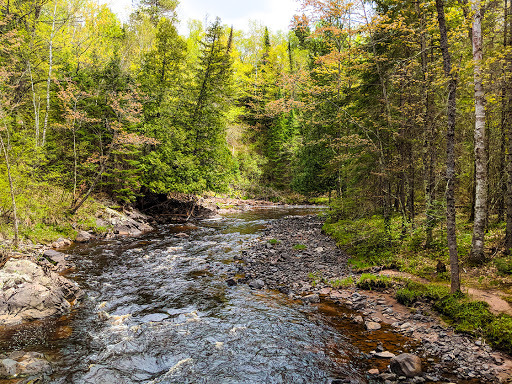 Pattison State Park also offers a large beach area, concessions, potable water, showers, and restrooms. 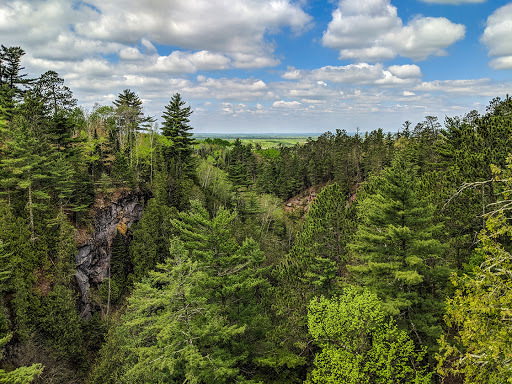 The NCT section at Pattison is among the very best scenic hikes in Wisconsin. 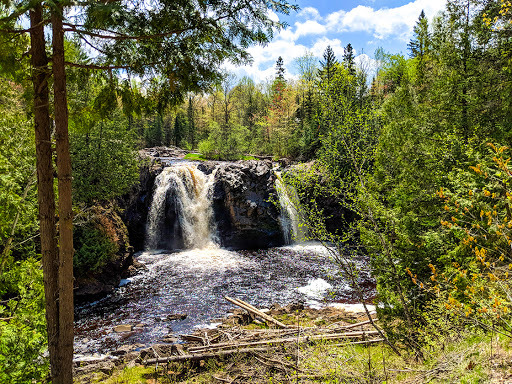 It may be a long drive for most of Wisconsin's population, but boy is it worth it. 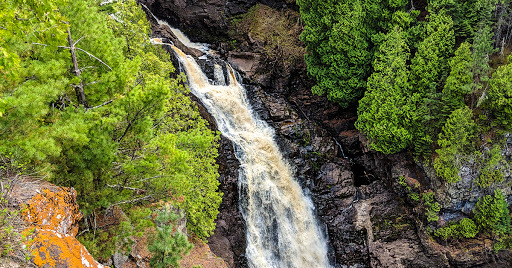 Hikers are rewarded with two of the most roaring and beautiful waterfalls in the State. 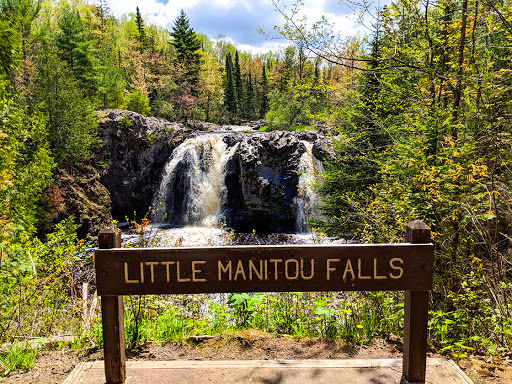 Big Manitou Falls is the starting point for most day hikers. 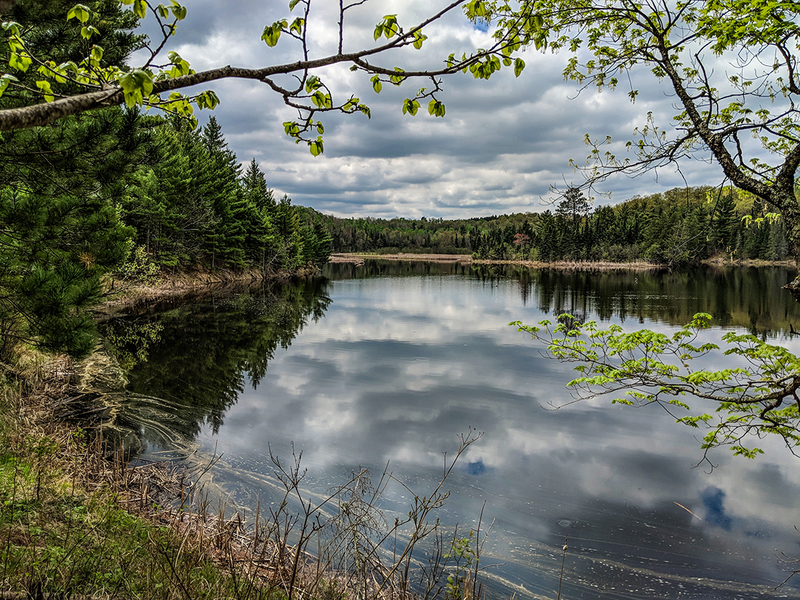 It's just off the highway, across from the ranger station and beach area. There are stunning views and overlooks on both sides of the river. 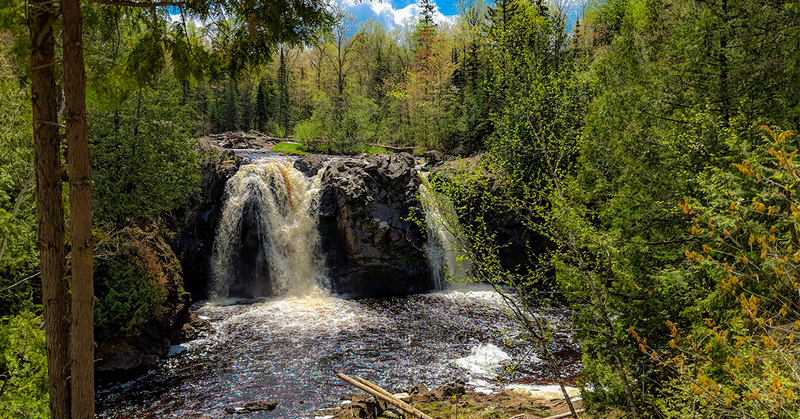 Waterfallers will delight in mountain-like scenery surrounding this dramatic waterfall. 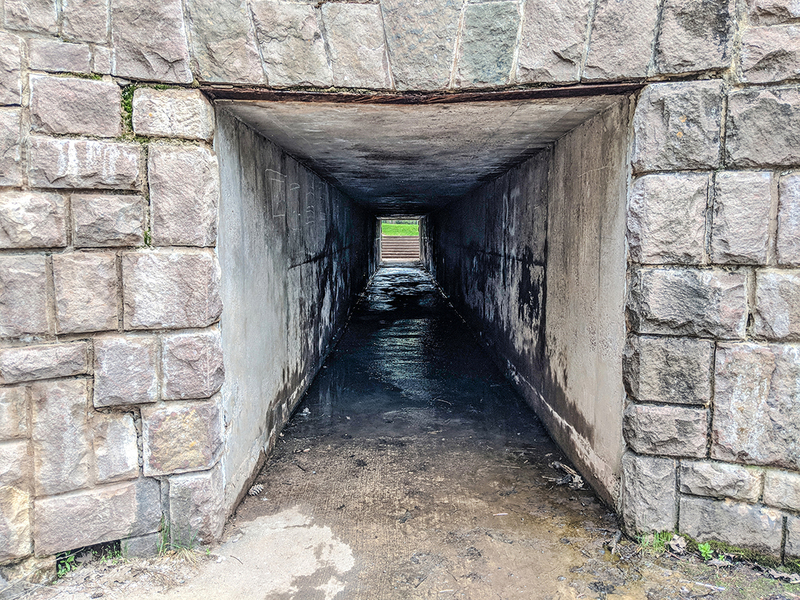 From the falls, a pedestrian tunnel leads under the highway to the beach area. 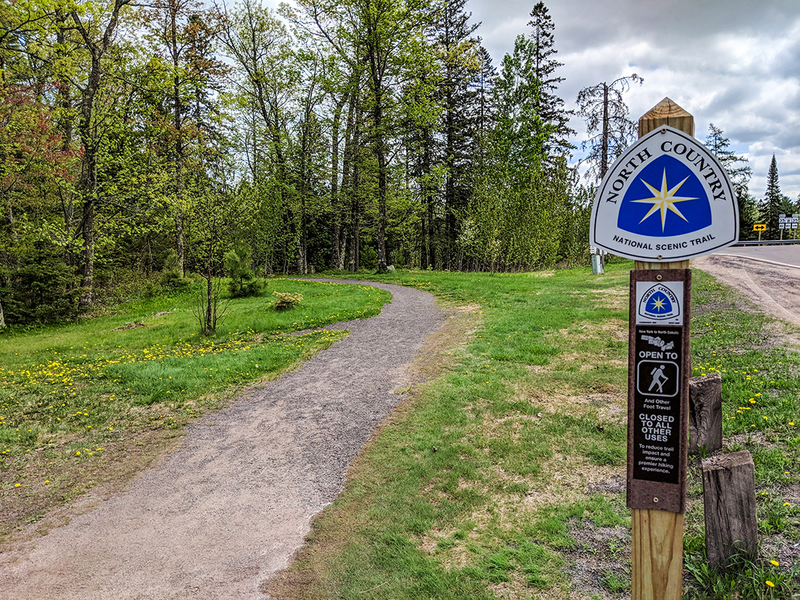 The NCT trail follows other named trails within the park. You'll stay on track by following the blue blazes. 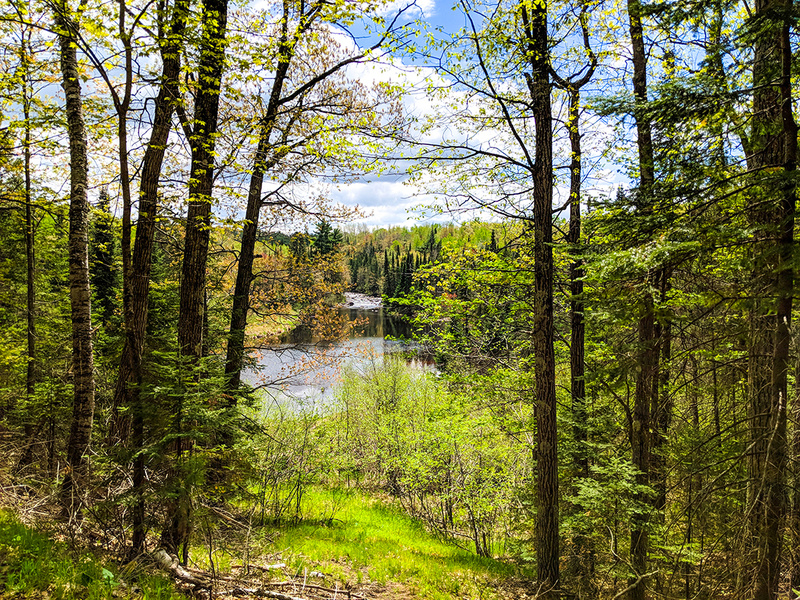 Initially, the trail follows the Beaver Trail which is a loop around Interfalls Lake. After crossing the Black River, NCT hikers follow the Little Manitou Falls Trail. 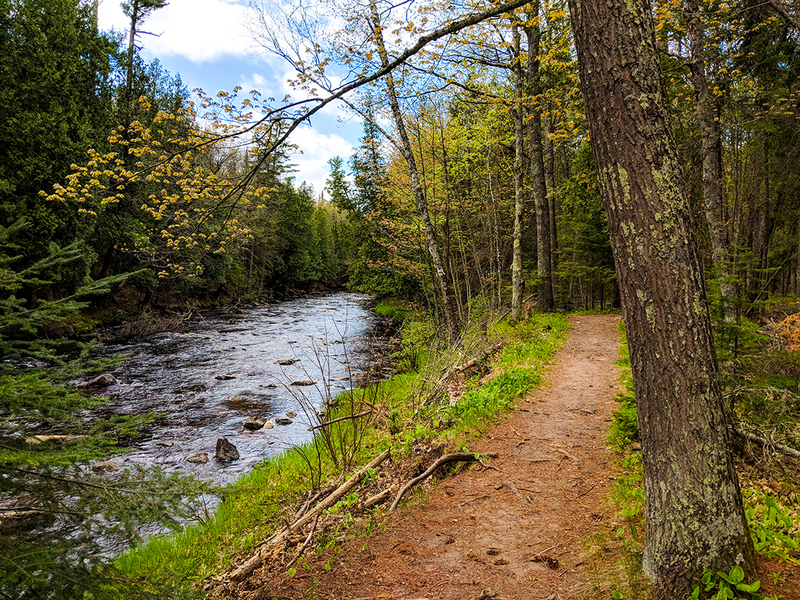 This trail follows closely along the forested banks of the Black River providing excellent scenery all the way. 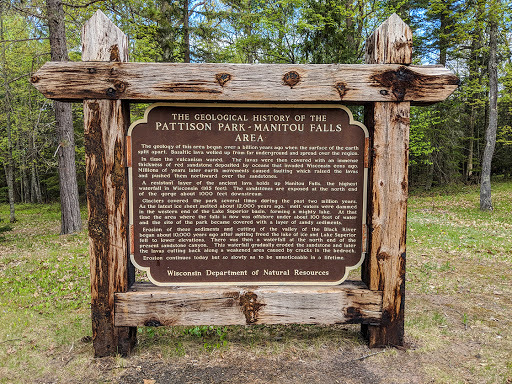 Little Manitou Falls represents the end/beginning of the NCT Pattison Section. 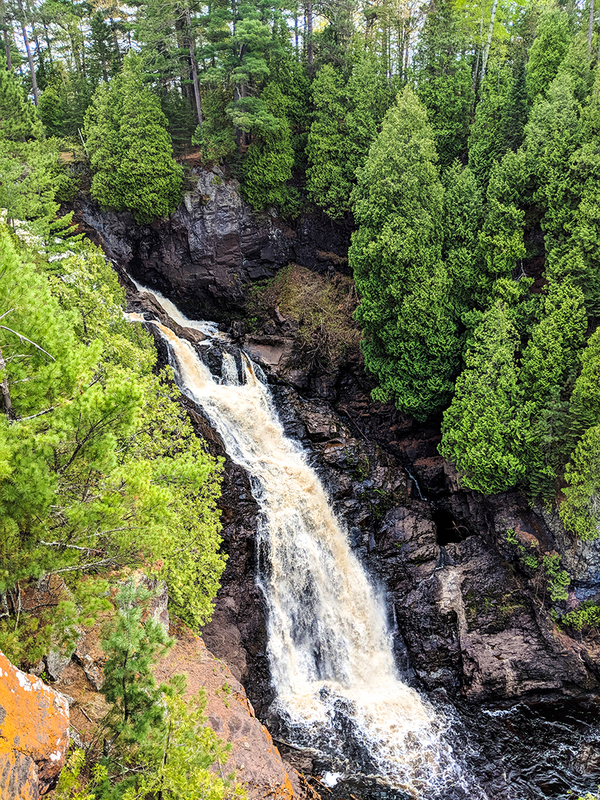 Though smaller in height than Big Manitou, this waterfall is another massive natural fall over an ancient stone escarpment. 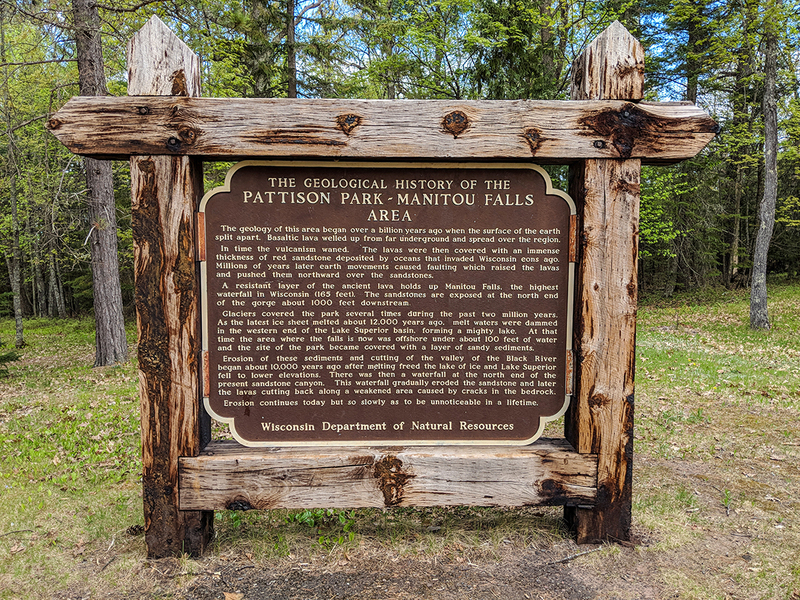 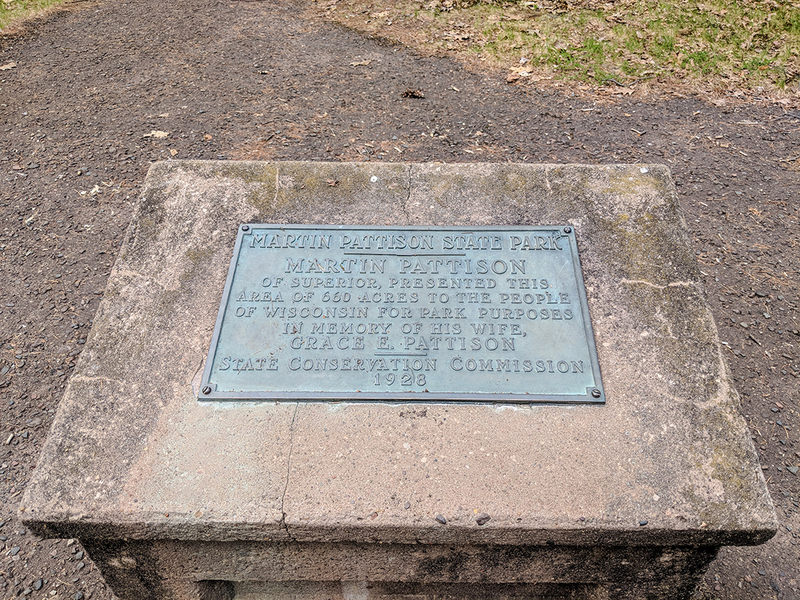 To make a lollipop trail, return to the Little Manitou and Beaver Trail intersection and finish the Beaver Trail loop on the west side of the lake. 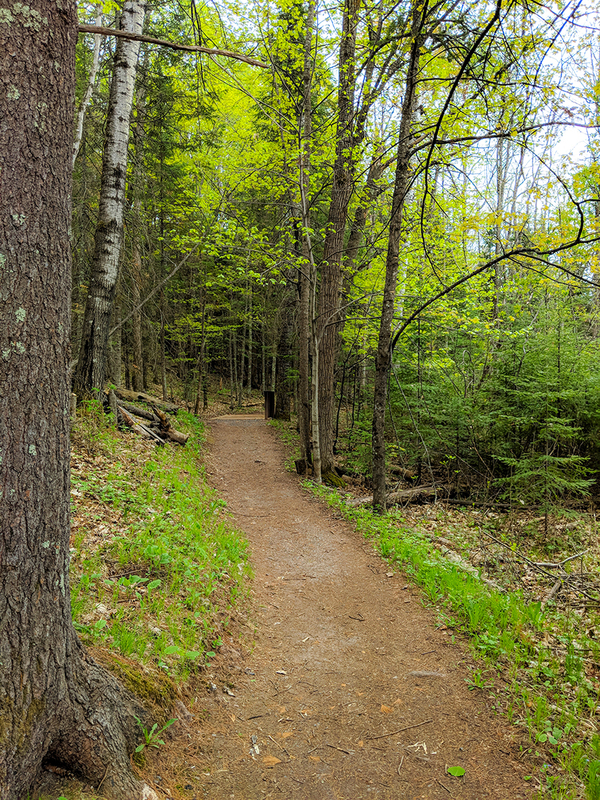 This portion of the Beaver Trail is a bit more difficult, but still an easy-to-moderate hike.